Mike & Mike were Jim Church’s close friends and associates for 20 years. 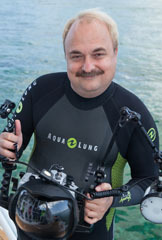 Jim had selected them to “team teach” his style of Underwater Photography instruction and they have been doing that successfully for 8 years aboard the Aggressor Fleet's live-aboard dive yachts. Between the two of them, Mike & Mike have been teaching Underwater Photography for more than 40 years, helping hundreds of students create beautiful images of our underwater world. 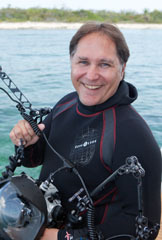 They are both topside professional photographers in South Florida. To book a course, contact Aggressor Fleet at 1-800-348-2628. For more information, contact Mike & Mike at 305-234-0903 or e-mail: info@jimchurchphoto.com. © 2011, 2014 Jim Church School of UW Photography except where noted.